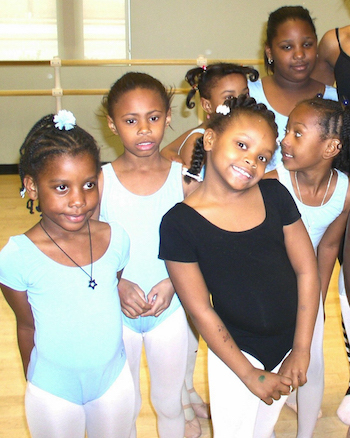 Ballet Spartanburg’s mission is to promote dance and dance appreciation in Spartanburg County and surrounding areas by providing the highest quality dance training, education, performance and outreach. As a member in 2018-2019, you contributed to all programming in the Spartanburg community and the Upstate. Every donation matters. Every dime is important. You make the difference in our community. We are always happy to visit you, your corporation or business, family, etc, to tell you how exciting our programming is and how you can get involved or possibly give you a tour of our facility, or maybe to observe a dance class for you or your special dancer. We are here for you. Please contact us by calling 864-583-0339 or email Though@spartanarts.org to set up an appointment. Your Valued Dollars Make a Difference in Your Community. In 2018-2019, we invested your dollars to impact lives and communities through dance.outreach. Join us today as a donor and support our Growing efforts for the next 50 years. In 2018-2019, 26,310 students were able to see the highest of quality of ballet performances in Spartanburg: 9,546 of those were reached through Muse Machine on site programs for Spartanburg County Schools, 10,578 received outreach dance education through in and after school dance classes and 6,186 dancers, ages 2-72, attended classes, rehearsals and performances at Chapman Cultural Center, Twichell Auditorium, and Ballet Spartanburg Studios. 1,500 4k-4th grade students attended a free performance of Peter and the Wolf sponsored by Phifer Johnson Foundation. 3,200 audience members attended The Nutcracker visiting from 13 states and 72 cities. 5,372 attended our productions in 2018-2019. The Company, the only resident professional company in the Upstate and one of only four in South Carolina, is now entering its 6th season. Project D.A.N.C.E (Diversity supports Accepting and Nurturing Community Equality), is in its fifth year increasing diversity and inclusiveness in our dance training at the Center for Dance Education. A College Dance Class Collaboration was created to engage Spartanburg colleges to take dance lessons and attend performances for a more friendly cost per ticket.